The best way to get to know a community is by scheduling a tour. See the facilities, meet the staff and residents, and get a feel first hand what it's like to live at SEI Healthcare Home Care. After 11 years of providing home care, it is our experience that the most successful care goes beyond creating and implementing a personalized care plan for your loved one. While superior care begins with a thorough, customized care plan, we believe the best outcomes are achieved only when it is implemented by experienced caregivers who have an aptitude for superior performance. Far beyond assisting your loved one with activities of daily living, we select only those caregivers who can be trusted to perpetuate our Culture of Caring® by mindfully providing the comfort, promoting the well-being, and preserving the dignity of every client they serve. It is our desire to provide your loved one the best service in the industry. To this end, we ask that you communicate openly and thoroughly with us regarding your expectations and our caregivers’ performance, and will periodically ask for your feedback. The lack of ability to provide for their own intimate needs and hygiene are often a source of depression in the elderly. Our caregivers are trained to offer as much assistance as needed while also encouraging as much independence as possible in situations where appropriate. One of the services that most puts a family’s mind at ease is that of providing medication reminders. Our caregivers can ensure that all medications are taken appropriately and at the correct time. A family member or nurse prepares the daily, weekly, or monthly pill reminder box, and we take it from there! Even in situations where light housekeeping is not part of a client’s care plan, our caregivers are trained to keep the client’s area safe and sanitary. Our clients often need to be escorted or transported to doctor’s appointments, church events, social outings, birthday parties or other places. 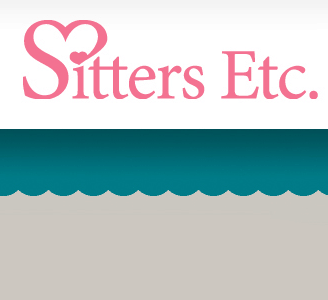 Sitters Etc.’s caregivers can drive our clients to their destination. Whether utilzing their client’s or their own vehicle, we run a Motor Vehicle Report on all caregivers providing transportation. Most surgeries require healing time before the patient can be fully functional and independent. Our caregivers provide assistance with activities of daily living while closely monitoring the patient for signs and symptoms of possible complications such as breathing difficulty, increased, or a decrease in ability to function in general. Our caregivers are trained to recognize the various behaviors associated with each stage of Alzheimer’s and how to deal with such issues confusion, anger and aggression, agitation, suspicions, and delusions. They understand the underlying causes of such behaviors and respond with patience and empathy. They give instructions that are simple and easy to understand. Individuals with dementia often feel vulnerable and in need of reassurance and support. Our caregivers have been trained to be flexible and tolerant, to make time to listen and chat, and to show affection in ways in which they and their client are both comfortable. Patients who have completed rehabilitation within a skilled nursing facility often still need help when returning home. Until they regain their strength and mobility, our caregivers provide assistance with activities of daily living while encouraging independence.